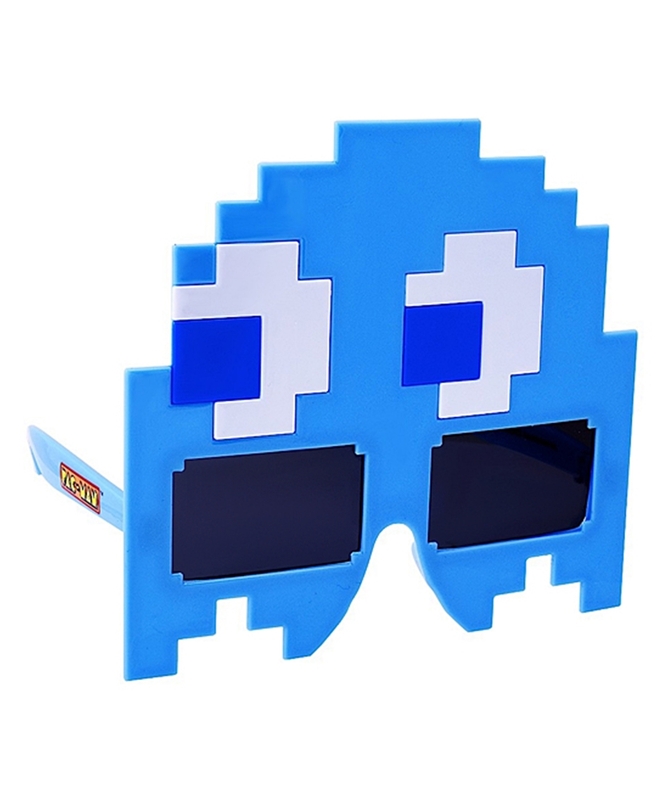 Defeat Pac-Man in the Pac-Man Inky Blue Sunglasses. These sunglasses are modeled after the Pac-Man character, Inky, and have black lenses that are shatter resistant and provide 100% UV protection. Use these novelty game glasses as part of a costume or give them as a gift.